Readers are great at sharing. Well, we're great at sharing at first. Once you've lent out a few too many books without having them returned, you tend to be a bit more cautious. Then we start to plot about how to get books back. It's true. Every now and then you have a gem of a friend who actually does read your borrowed books quickly and returns them promptly. But it seems that more often than not, our friends seem to forget about that important aspect of returning our beloved novels. And after a certain amount of time goes by, it becomes increasingly awkward to receive that book back. Because we don't forget about our books. Oh, no. I still remember the book my friend somehow "lost" while moving seven years ago. She might have forgotten, but I still remember every time I see her. A tainting scar on an otherwise wonderful friendship. Yes, I've bought another copy of the book since then, but even that is a reminder that I don't have my original book. The problem is, what might just seem like a lump of dead tree to others, or an easily replaceable object (you have a million books, surely you won't notice or care if one goes missing), is actually pages filled with an incredible story and the memories of you reading that story. The book remembers the family vacation spent on the beach and might even have a few pieces of sand hidden between the pages. The book remembers the tears you shed when your favorite character died, and might even have a water stain or two. A book that's loved by a reader is so much more than what you see between the covers. This is why lending books out is so hard for book lovers. We have to protect that which can't protect itself. So here are the phases us book lovers go through when we lend out our books. I hope that most of your friends get you your books back before you have to go through step 4. *shudders* But if not, we've also included tips on how to get books back! "Wow, what a fantastic book!" "I bet (insert person) would really enjoy it!" "And, if they read it, we'll be able to talk about it!" "Actually, I really need someone to talk to about this book. This needs to happen." "Maybe I'll let them borrow my copy the next time I see them." "But it did take them a long time to return the last book I lent to them . . ."
"And the spine was bent all funny when I got it back." "And what if I need to reference a part of the book while he or she is going through it?" "But he or she probably won't go out and get it on their own." "So I guess I either risk it, or suffer alone with my thoughts." "Fine. I'll let them borrow it. I'm sure they'll get it back to me quicker this time." "Okay, so here is that super fantastic book I was telling you all about!" "It's literally the best book I've read since the last book I read!" "I know you're really going to love this book!" "I can't wait for you to start reading it." "Should I go right now so you can start? No? Oh, okay." "So yeah, just be careful with it. Don't, like, leave it out or spill coffee on it or dog ear the pages." "In fact, here's a convenient bookmark I left in there that you can use." "Okay, I'm going to go now. Text me when you start reading it so we can talk about it!" "Bye, honey! And you too, my friend!" Day After: "Hi! Just wanted to see if you've started that book yet?" Couple Days Later: "How's it going? Have lots of time to read lately?" Week Later: "Oh, that's great that you just finished a different book than the one I lent you and haven't even started my book. That's totally fine and I'm not hurt at all." Still a Week Later: "And that book you just finished is part of a 12-part series? Fantastic!" A Month Later: "So, are you still reading that series? Oh, wow you're only on book three. So you're thinking it's going to take you like four months to finish this then?" Two Months Later: "Hey, so I was thinking, maybe you could take a break from that series you're reading to read that book I lent you? Just a thought." Six Months Later: "I'm never getting my book back, am I?" "Is it awkward to take a book back when they haven't read it yet?" "It's been almost a year. Maybe I'll say I'm taking it for another person who wants to read it. Then I'm not being weird, I'm just helping someone else out." While your friend stops by for a visit: "They said they'd bring the book over today, but I don't see a book . . . did they leave it in the car? I'll ask." Laying in bed at night: "Do you think she'd even notice if I broke in and took the book? I mean, it's my book, so it's not like I'd really be doing anything illegal." When you're over at his or her house: "Hey, do you think I could just grab that book really quick? Oh, you're not sure where it's at but you'll get it to me soon? Okay." While your visit lingers: "Hey, I'm just going to use your restroom real quick (and check all the rooms I pass for my book on the way)." The next time you see them: "How many times can I ask for my book back without destroying our friendship? They seem a little annoyed." When you run into them at the store: "Okay, I'm starting to annoy myself now. Just give me back my dang book!" Randomly driving: "What if I borrow something from them, and hold that hostage until they give me my book back?" While at a group party at their home: "I'm sneaking away and searching this house until I find my book and bring it home to safety." So, now that we've all had to live through the anxiety of lending a book out again, here are a few tips and tricks to help get your books back every time. Make a google Calendar invite for a few weeks later to remind them to give the book back. Set the expectation from the beginning that you'll need your book back by a given time, even if they haven't read it yet. Remind your friend that it's really not that expensive to mail a book. Usually around two or three dollars. Send your friend monthly letters reminding them of your library fines. Text them a series of sad photos of the empty spot on your bookshelf where your book used to live. Be conscientious of your friend's life. Is your friend going through a particularly busy stretch of life? Then it's going to be much harder for them to fit an extra book in, no matter how much they want to. Try not to lend a book to a friend when they're moving, starting a new job, planning a wedding, getting ready for a new baby, etc. Wait until they have a lull in their life where a book would fit right in. Try not to force books on people. I know that everyone will love the books you recommend, but the problem is, if they don't know that, they're going to have a hard time picking up the book. Especially after the first few times they've had to tell you they haven't started the book yet. If a friend genuinely seems interested about the book, or asks to borrow a certain book themselves, then you're more likely to have a good lending experience. If your friend only seems so-so about the book, then maybe rethink how important your book is to you before you lend it out. However, at the end of the day, if nothing seems to work or if your friend has lost the book forever, remember that your friendship is more important than your book. Forgive your friend for their transgression, but also, probably never lend them a book again. Author's Note: If you haven't lent a book out yourself, but you've been tagged in this article by a friend whose book you still have in your possession, they're trying to give you a hint. 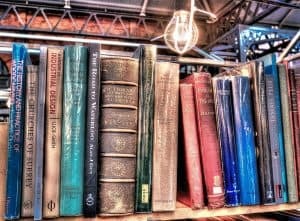 Do you have any books that never made their way home? Or tricks on how to get books back? let us know in the comments below! I NEVER lend autographed or special edition books out for any reason. No matter how much begging they do, the answer is "sorry, it was a gift and I simply cannot." Visit him and steal the book back. It's yours and he stole it from you. Steal it back. I put my name on a sticky note on the title page with the date lent and "please return by 'x' time." Then I do the same about a third, half, and two-thirds of the way through. At the end of the book, I have another sticky note with my name and "YAY! Please don't forget to return my book..."
ii) they are more likely to not borrow. If I’ve lent out a hardback and then come across the paperback in a charity shop I’ll buy that and swap “their very own, personal copy” for my original. Several benefits, no ill feelings on either side, the charity benefits, I’m perceived as a truly wonderful, marvellous, generous, thoughtful and caring friend (hyperbole) . 1. I only lend what I'm prepared not to get back. 2. Put my name in it. 3. Have a short memory. It's hard if someone wants to borrow a book that I'm not quite ready to let go of. I don’t lend my precious, wonderful, in-love-with books. My books are precious to me. They are my treasures! Can you get in touch with the person who wrote the program which takes care of the comments and get them to change the "time elapsed" of the comment to the actual date and time the comment was posted at the server in the same manner as the date and time as posted at the top of the article. Time would be preferred in 24-hour format rather than am, pm, but either way is fine. This idea of 2 days ago, one day ago, 5 hours ago is stupid both in its essence and in the lazy programming. Oh yes I have had a bad experience lending out books. I had all the Harry Potter books in hardback and my husband's brother asked to borrow them all for his son to read. Gosh, something told me not to do it. I should have lent book1 and when returned move on to next book in series and so on.......but, no, I handed them ALL over to him blissfully ignorant of the fact I would never, ever see them again! Well, 13 years later and my husband is now my ex-husband so brother is ex-brother-in-law....Yes, very awkward situation. I did ask for the books back 3 times....asked my ex to ask his brother for them back. So, 13 years later and NO BOOKS! I have learned my lesson. I share books with 1 person and 1 person only....my OWN brother. And he shares with me....it is a wonderful arrangement and we both return books in a timely manner. My books are my children and I will never allow them to play at another's home again. Fool me once, shame on me....fool me twice, I'll hunt you down and off-with-your-head! LOL! I don't lend books out for any reason at all. EVER. They are all very dear and precious to me. (And many of which weren't cheap either, and are irreplaceable.) Most people these days don't care for book reading. And those who do enjoy and savor books, tend to have huge libraries with more books than they'll read in a year, or even a lifetime, etc. (myself included, lol.) Most of my library consists of hardcovers, first editions, and many autographed books. Thus, another reason, I don't lend. At all. Period. Don't ever ask. Or consider asking, for that matter. The answer is, NO. Don't give me the 'caring is sharing' line. I've got three siblings and can smell manipulation a mile away, lol. I've spent too much time, money and resources to acquire my library. It stays with me until I die. And only then, will my considerate, book valuing, children inherit them. On the other side, I do have a good track record for returning every book I've ever been loaned. I make it a point to return stuff I borrow. If I enjoyed a book I borrowed from a friend, then I'll buy my own copy. Once, I borrowed a book from a friend simply because she practically begged me to read it, because she enjoyed talking about how sad and horrible a story it was. Needless to say, she didn't want it back when I brought it back to her, and on the subsequent occasions when she'd talk about it, I offered to give it back to her. However, she just always said to "Pass it on. And share its story with others." So It's currently sitting in a box by my front door, with all my other unwanted books, in anticipation of when I make it to my local book trading shop. Yep. It's one of those sad, based on-a-true-story types about the enslavement of other people. I don't need to read it ever again, to know there is evil in the world. And yet, it's the only book she so passionately talks about any time I see her. It's like she's obsessed with the book. But she didn't want it back either, for having so-called 'loved' it so much. Go figure. People are crazy. May I suggest that when next you visit her, you simply put the book in her library while she is not looking. It's the opposite of the comment I posted above about a stolen book, but it works just as effectively. The book in that comment was effectively stolen by the borrower, so I told the commenter to steal it back. I know you didn't steal the book in your case, but if your friend really doesn't want this book back she can give it away herself or dispose of it any way she wants without it bothering your conscience. Sorry for putting in my two cents' worth, but it seemed your comment was asking for just such a last word. A lent out a book that can never be returned. It was lost in a house fire. My friend, her family and pets made it out alive. The house was condemned. She did purchase a copy for me. I am glad everyone made it out alive and well. Now there's a true friend. Despite having lost her house in a fire, she took the time and bother to get you a copy of the book you had lent her. I do hope you are still friends, because friends like her are few and very precious. As I suggested to Andrea Stoeckel above, see the second comment, go steal the book back. Visit your neighbor to locate the book and on a later visit, just tuck the book into a bag or something. Just do it while she is not looking, and the best thing would be for you to locate all the books you lent her and steal them back in one visit, so she doesn't have time to realize what happened. I know what I'm suggesting may seem unethical, but whose books are they? Did she ever pay you, or offer to pay you for them? It's up to you to get your property back. it's also difficult when you try to give a book back and the owner insists you keep it longer (a cookbook which I really loved) and hands it straight back to you! I've been lent three books by a friend and haven't been able to get into any of them, much to my surprise as I love reading. I will stop procrastinating and give them back! I have lost numerous books. Also had one returned after a substantial length of time. It was in new condition when I lent it and came back totally dog-eared with a broken spine and the cover taped together. She had lent it on to many other people and while I'm thrilled that so many other people enjoyed the book, I felt a new copy should have been purchased to return to me. I had only offered it to one person, not everyone she knew! Once I read a book I have no trouble giving it away or better yet swapping it for one I haven't read yet. Here's another solution. I had a friend once that I lent a treasured book to. Without letting me know, she lent it to our minister. He had a messy office and I was never able to get the book back. I finally shopped enough old book sales to replace my book. It isn't the best solution but it worked for me.